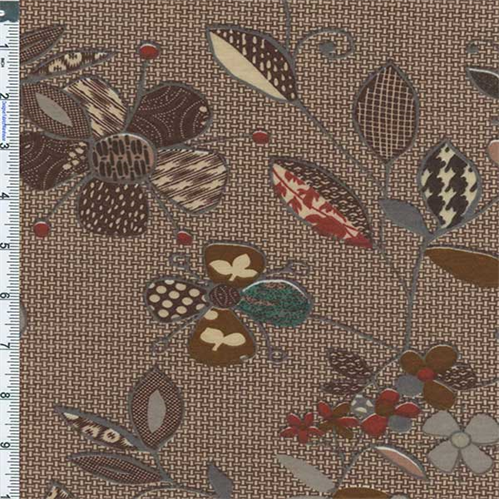 Mix and Match Floral Spun Poly Jersey Print Fabric By the Yard, Brown/Multi. Soft/drapable and light weight spun poly jersey. Widthwise stretch, no lengthwise stretch. Suitable for tops, dresses, layers, wraps, use an underlay or lining if opacity is desired.